Millions of people are gravitating to social networking sites such as MySpace, Blogger and Facebook. At the same time, other medias such as television, print, magazines are starting to lose numbers or their numbers are on the decline. For example the Wall Street Journal mentions that Blogger.com had 142 million visitors during September 2007, while Windows Live Spaces had 119 million, MySpace had 107 million, and Facebook had 73 million. With numbers like these marketeers can not ignore this trend. There is still some big debates about whether these sites will last and will there be a return on the investment for investors and advertisers. For the advertiser however participating in social media is a good way to build brand awareness and get customers to know and try your product. At this point these markets are strictly for those companies with deep pockets as most small businesses cannot effectively participate. Having a good blog attached to a product however helps you get more personal with your audience and adds credibility to what it is you do. A recent experiment of mine, had me announce a new meetup on a topic of interest and within a few days I had four people that were interested in coming to my event. I was surprised as to the scope of the network in only a couple of days. Some expensive radio and print campaigns are lucky to draw a response like this in such a short time. Its only a matter of time before even small businesses will need to how to build and/or participate in a local social networking group. All marketers are going to have to also get fully up to speed knowledge wise on social networks, as it only a matter of time when everyone in business will have to accept these networks and they will have to be taken very seriously. There are already major networking sites for people over the age of 40 and now Eons a new social networking site for people over 50. Marketers and business everywhere take note, Web 2.0 and social networking are here to stay. 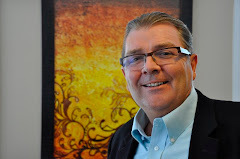 Kensel Tracy is a Business Coach and Senior Partner with the Corporate Coachworkz Inc. in Chelsea, Quebec.